Crime Clusterf@$k/Political Pantomime 22mts, 4dys: Partnership or Jump Ship? It's getting closer and closer to the day of reckoning for the COP in this political alliance that they in. Will Prakash Ramadhar make the decision to jump ship? Or will he boil down like a pot of young bhagi and continue to accept the UNC's brand of political friendship? In remaining as an active partner in the People's Panchayat Govt Prakash stands to secure benefits only for people who are sitting ministers and in the government's good books; and at the same time be tainted by the foul smell that seems to accompany much of the policies from this government. 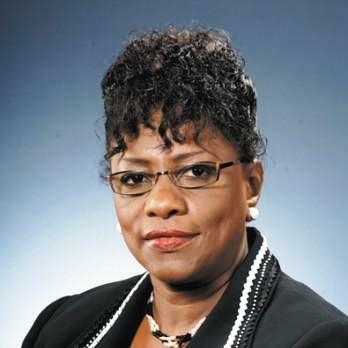 This current impasse between the COP and the UNC over Marlene Coudray may well be the COP's last chance to prove itself an independent political body as opposed to the political parasite it now appears to be. 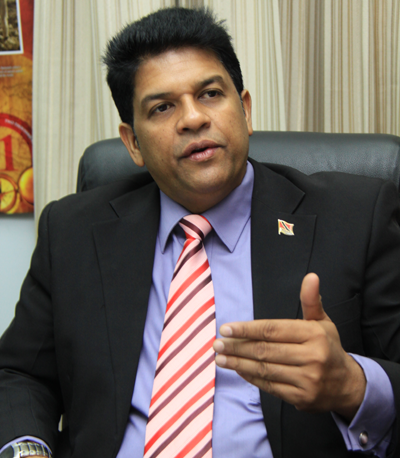 The COP squandered similar opportunities in the past when it supported and endorsed the SoE and further rallied behind the UNC-dominated government in the recent Motion of No Confidence. Perhaps more than any other opportunity, the MONC was their biggest opportunity to credibly establish themselves as the voice of reason in a Parliament that seems to have gone mad....instead, many of the current COP members chose to get up and defend questionable PP policies and this is bound to come back to haunt them. "The allocation of the mayorship of San Fernando to the COP was an essential element of the agreement that led to the coming together in other areas such as Tunapuna and Diego Martin. "The issue, therefore, is really the attempt to take the mayorship of San Fernando and abandon the People's Partnership by trampling on the Fyzabad Declaration. If this is not redressed, it could well mean the destruction of People's Partnership and the dashing of the hopes of the nation. The COP will not be pushed aside and allow this hijack to take place." The bit in the quote that intrigues me is "the allocation of the mayorship"...kill me dead a local government election took place and people "voted" a mayor and councillors in....I didn't realise that the mayorship was allocated. Is it that part of the Fyzabad Accord was that the various sectors of this partnership cut up a map of Trinidad and Tobago and decided, "Here Prakash, this your territory. And here Kamla, you see all here so, that is your territory...Jack, you could hold on to Tobago..." Really? I'd be interested to find out what Mr Ramadhar means by the "allocation of the mayorship". No wonder he and Joseph Toney have been using the word poached. If the signing of the accord is dim in your memory check it out here. And I am hearing that the mayorship of San Fernando was part of the accord....not sure how one party can promise another party the allocation of a mayorship. If anyone knows drop me a line. Maybe the PM will find a way to placate both....give Prakash what he wants and give Marlene a more prominent, juicier post? Is Lyndira under the axe? In light of this political analyst Winford James thinks the Fyzabad Accord needs to be revisited. I also think that the COP is on shaky ground in other ways....in light of the revelation yesterday by CoP Gibbs that there isn't yet enough evidence to arrest Calder Hart one wonders where is all of the documental evidence that Ramadhar and de Lima promised in 2010 after securing the birth paper of Sherrine Hart? Is the birthpaper thus far the only evidence to link Calder Hart to Sunway? In other news, it seems Min of Health Fuad Khan intends to seek cabinet approval to sell the property that the St. Ann's hospital is on. He has stated an intention to use the money from the sale to build similar centres/hospitals in communities throughout the country. That's a prime piece of real estate folks, I wonder which private consortium of local businessmen interested in buying it? It appears that PantyGate has gone onto another rounds in the battle between the Maha Sabha and Sita Gajadharsingh-Nanga. It appears that the beleaguered principal has taken legal action to prevent her transfer. Law Association elections have been put off to accommodate State Lawyers. The Tobago tourism industry is still experiencing the backlash of the SoE and they are insisting that a better marketing thrust is needed to bring income back up to the pre-SoE levels. They are also concerned about the impact the attack on the UK couple has had globally. And in media news it seems that Ken Gordon's One Caribbean Media is buying Louis Lee Sing's Citadel group of Companies....will Tony and Dale be muzzled now? UPDATE: ok, folks, quick and dirty update....I am advised that while councillors are elected, the mayor of a borough, city or town is actually appointed. This means that from since May 2010 the PP was convinced they'd be successful at the Local Govt Elections and were well within their right to say they would allocate the San fernando Mayorship...and having promised such an allocation, Prakash is well within his right to ramajay....in this light, I think the PM will accede to Ramadhar's request and give the COP the San Fernando mayorship and give Coudray another post....no mash-up!